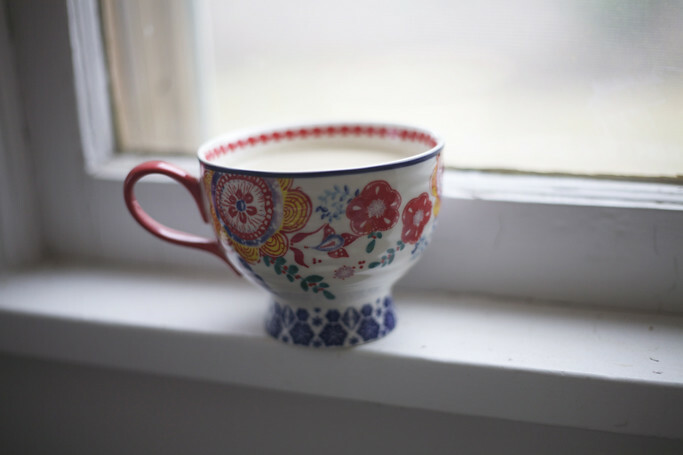 There's nothing like a cup of hot tea on an autumn day, and chai is my absolute favorite. Chai (or masala chai), is an Indian drink made by brewing tea with spices and herbs. I'm a spice lover, so it's right up my alley. I love the intense flavor, and find myself craving it all autumn and winter. 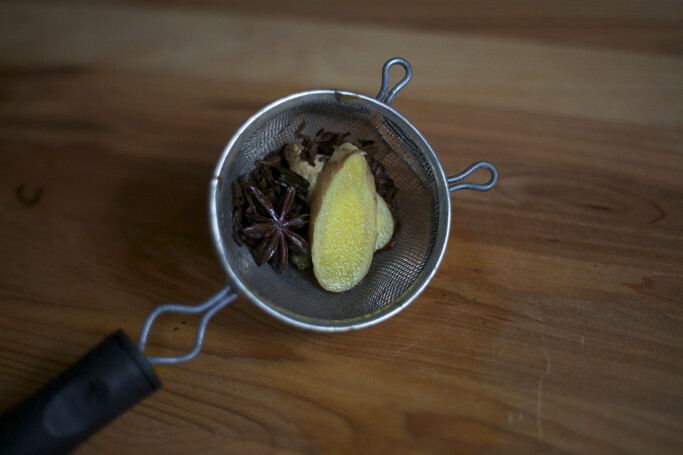 You can buy it as a concentrate or tea bag, but I prefer the flavor of the whole spices, so I make it at home. You should be able to find the spices in the bulk section of whole foods or your local grocery store. Also, if you're avoiding caffeine, roobios is a good substitute for the black tea. The milk to water ratio is typically 3 to 1 (water to milk), but you can make it with any ratio you like. You can play around the the spices and sweetener, too. Cheers to the lovely autumn ahead of us. Begin by heating the water and milk, in a small saucepan. When it starts to bubble, add in the spices, and turn off the heat. 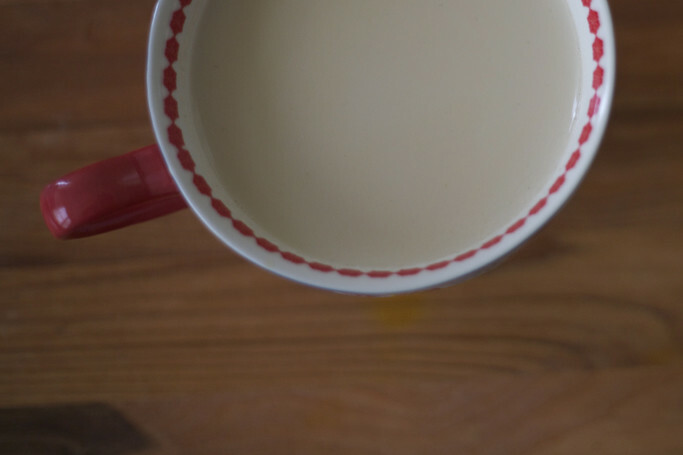 Let it steep for 2 minutes, before straining into a mug and adding honey, to taste. makes 1 cup of tea. I crave chai all throughout the cold months. I can't wait to try this recipe! I'm so happy that you'll be back. When I began reading about the changes, my heart sank a little because I thought you would be taking this beautiful site down. 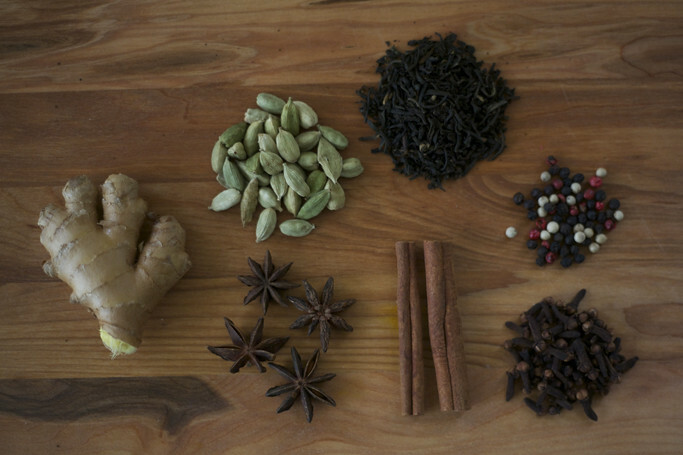 I'm excited about the changes afoot and I'm also grateful you posted such a lovely chai recipe. 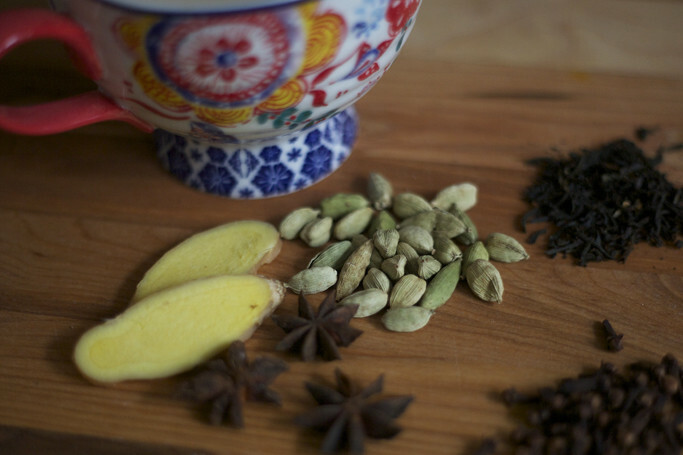 My husband and I don't tend to agree on teas, but chai is one that can bring us to common ground.